A 4th Grade—ELA-S teacher at Bryant Webster, Mollie McGrath brings an international flair to her teaching perspective. The Wisconsin native spent her teen-age years growing up in Colorado and then studied at the University of Northern Colorado in Greeley before moving back to her home state. But her hometown stay didn’t last long. 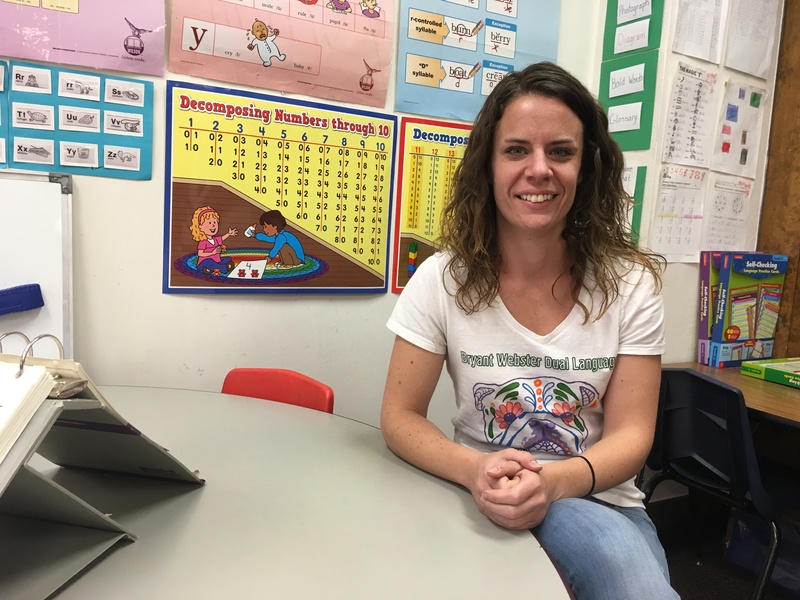 In 2015, Mollie returned to Colorado to begin her teaching career with DPS. Now two years into the job, she possesses enough experience to know she made the right career choice – as well as to identify some of the job’s more tasking requirements. A well-seasoned traveler as well as an avid participant in the great hiking, biking and other outdoor activities Colorado offers, Mollie holds hopes that her students grow to experience a similarly enriching lifestyle. The second-year teacher has some familiar-sounding observations about her burgeoning career. In a nutshell, it’s time – and the lack of it. The never-ending need for planning time, sometimes poorly focused meetings and increasing duties can overburden even the most organized teacher, she said. Professional development and ongoing teacher education are also high on Mollie’s list of priorities. She is frustrated by a lack of resources to help her improve her skills and take her teaching to the next level. Still, Mollie can’t imagine experiencing the same kind of satisfaction she enjoys in any other profession. “I cannot put into words how much each of my students means to me, or how the opportunity to build a relationship and make a positive impact with each of them enriches my life,” she said.